Kingfisher Airlines Ltd (BSE: 532747, NSE: KFA) counter on 3rd April 2012 witnessed massive sells by an entity which is a Person Acting in Concert (PAC) with the promoter group. Star Investments Pvt Ltd, one of the three PACs of the promoter group, was the seller on Tuesday. In the Kingfisher counter at BSE, Star Investments offloaded 97.50 lakh shares amounting to 1.69% of the total shares in the company. And in the NSE counter, Star sold off 30.98 lakh shares, which comes up to 0.54% of the company. There were no identifiable institutional buyers as counterparties to the significant sells in both the exchanges. The counters also witnessed large day trades (buy and sell) of 35.92 lakh shares (BSE) and 65.13 lakh shares (NSE) by broking firm, Transglobal Securities Ltd, on 3rd April. Interestingly, despite the large sell by promoter’s PAC, Kingfisher Airlines stock soared by 10.26% in BSE, largely due to KFA’s staff withdrawing an indefinite strike planned from Wednesday which would have fully grounded the partially operating airline. The withdrawal of the strike followed a passionate personal letter to employees by Vijay Mallya, Kingfisher’s Chairman & Managing Director, assuring them of their long-pending salary dues. 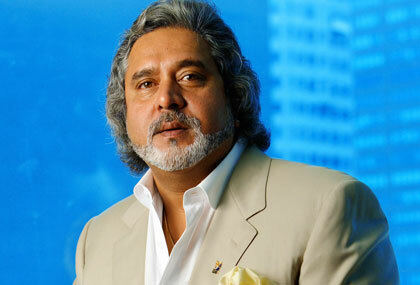 In his letter, Mallya accused competitors and media of tarnishing KFA’s image and business, and disclosed to his employees that the company’s bank accounts have been unfrozen on Monday, following payment of Rs. 64 Crore to two Indian tax authorities. The beleaguered company as well as its stock had come to the brink on Monday, due to Tuesday’s deadline for strike, and KFA had marked a new 52-Week Low of Rs. 14.90 in NSE. Monday also saw a large holder, LKP Merchant Financing Ltd, selling 43.50 lakh KFA shares at Rs. 15.42 a share, at NSE, in a deal that raised Rs. 6.71 crore for LKP. It is not known whether this was a promoter pledge that had gone bad. Using Tuesday’s sell, Star Investments has raised Rs. 21.34 crore, at a per share price of Rs. 16.63 in BSE and Rs. 16.55 in NSE. Four trading days back, on 29th March 2012, Star Investments had sold off 40 lakh shares at Rs. 16.56 a share, thereby raising Rs. 6.62 crore. Strangely enough, a promoter related entity itself has emerged as one of the largest sellers in the counter, even at these low levels, in what looks like a last ditch effort by the promoter group to shore up its finances so as to meet its large financial commitments. PACs do not officially belong to the promoter group, but for all practical purposes are considered together with the promoter group. Clearly, in the promoter group’s scheme of things, protecting its equity investors directly is now coming as a lesser priority before other priorities like paying salary bills, which if left unattended for more time, could finish off the airline as well as the stock. On Tuesday, the strategy has ironically helped the stock too, but it remains to be seen whether the stock can sustain the gains if promoter related entities sell more. Three PACs of the promoter group together held 13.1% stake as of latest SHP, which is apart from the official promoter group stake of 50.51% out of which 90.17% is pledged by the promoters. Such large pledges can have a cascading effect if the share price falls further, and is seen as a key risk in Kingfisher stock now. Largest institutional investors in Kingfisher Airlines include State Bank of India, ICICI Bank, IDBI Bank, Bank Of India, & UCO Bank, with their total stake coming up to 15.19%. Much of these stake has been due to debt being converted into equity during earlier restructurings. But due to its financial problems worsening, as well as due to the falling share price, these lenders are no longer willing for further restructuring of Kingfisher’s debt. The stock closed Tuesday’s trade at Rs. 16.80, up by 11.63% in NSE.